News and information about products and services related to the Techware family of companies. New MO Disks Are Getting Rare! Sony is shutting down their magneto optical plant in Japan. And finding nice, new, pristine MO discs is a challenge. Techware has many 3rd party sources for most of the popular capacities of MO media – 2.3gb r/w, 2.6gb r/w, 4.1gb rewritable, 9.1gb r/w and others. Prices have been on the rise the past 3-4 months – no doubt. 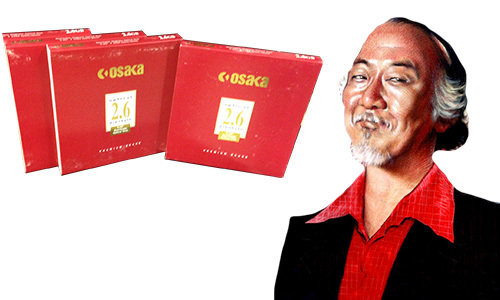 Here is an example of some hard to find discs – Osaka brand. Never heard of this brand before. These discs might be from the 90s? Wasn’t Mr. Miyagi from Osaka? Upon inspection these are actually Mitsubishi made discs. Great quality, and made in Japan prior to the earthquake, tsunami and nuclear disasters. No radiation…. Proof that Techware is your best source for magneto optical discs. We are working hard to find product for you. Call us or email us with any of your needs. This entry was posted in Miscellaneous by Kevin. Bookmark the permalink.